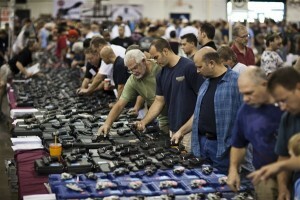 As we have previously reported, gun sales have skyrocketed across the country as Democrats declare war on gun owners. Georgia is the latest state to document the strength of recents sales. Across the state, carry permit applications and sales are up as much as 100% over last year’s numbers for the same period. This entry was posted in Anti-Gun Democrats, Georgia, Gun Control, Gun Sales, Proposed Gun Control. Bookmark the permalink.